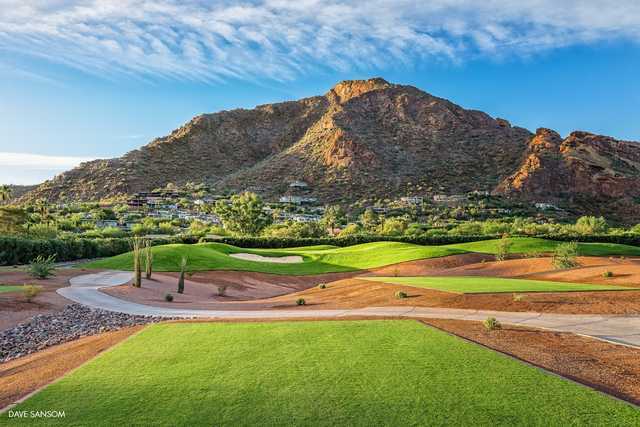 Nestled in the foothills of Camelback Mountain in Scottsdale, the course at Mountain Shadows Golf Course has one of the most scenic locations of any course in the state. 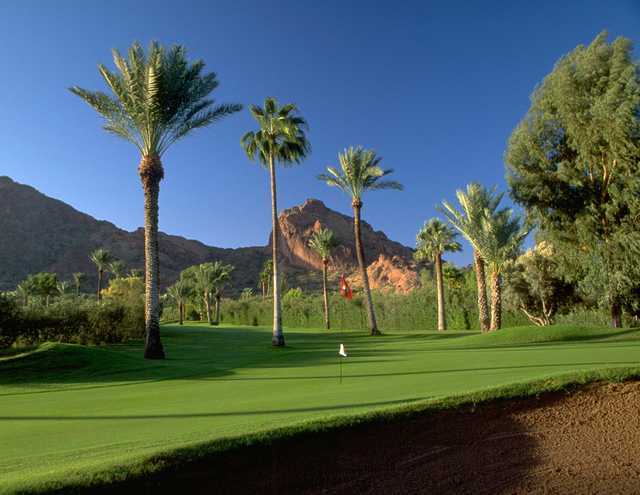 Towering pines, palms, and oleanders scattered throughout add to the golf course's natural beauty. The sloped greens are protected by both sand and grass bunkers for some challenge. 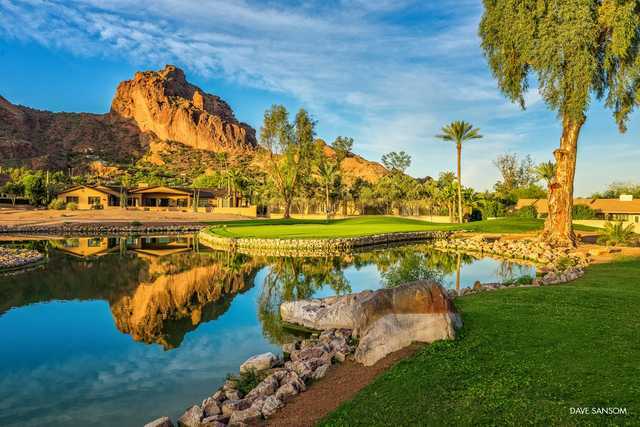 There are also rocky outcroppings throughout and natural vegetation lining the fairways at Mountain Shadows Golf Course. 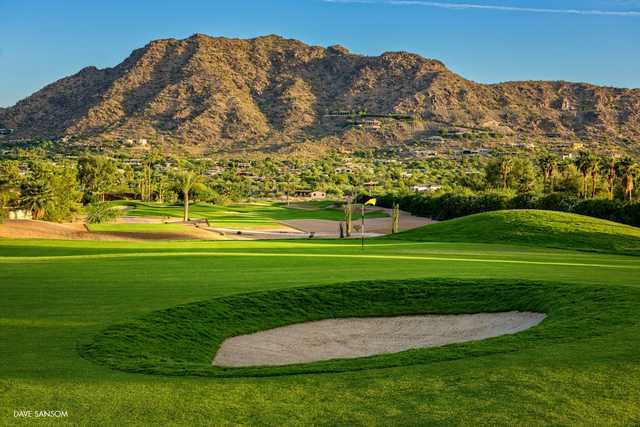 With its scenery and challenging layout, it is no surprise that the golf course is consistently ranked as one of the top executive courses in the state. This is a very challenging course. If you want to work on your short game, definitely a plus. The greens are a little bumpy in places which may effect a straight put. Be prepared to play over mounds and on slopes. At 73 yrs. it's a workout walking up and down steep mounds and slopes to get to the greens if you come up short on a tee shot. I thought too, in places there are too many large, open dirt areas on several fairways which may be a little frustrating for the beginner. Be prepared to pay a $5 cart fee, although the free water bottles and the attached iced cooler off sets the price. On other courses a bottle of water can be priced at $2.00 or more and you may have to get or request the cooler yourself. 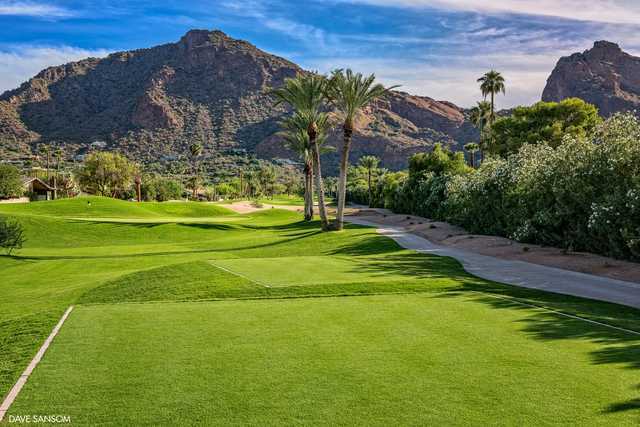 I played the "old" Mountain Shadows course many times and think it was a better Executive course. Loved that course! That said, overall, this new course I would characterize as a very good course. I look forward to returning to play again now that I am more familiar with the course. Last look carefully driving down Lincoln. 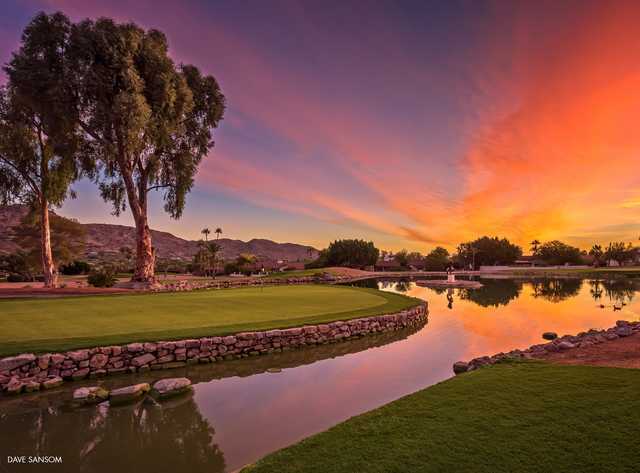 You may miss the course if you are coming there for the first time. Need a sign on one side of the road although the town probably willl not allow it. Have fun!